In the Sept. 2016 BeeLines, Tammy Horn Potter announced that the Food and Drug Administration (FDA) had passed a new regulation. Under the new regulation, a veterinarian must write a prescription or a Veterinarian Feed Directive (VFD) before any antibiotics can be fed to an agricultural animal. 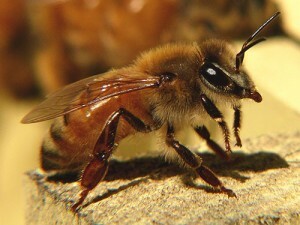 Since honey bees are considered agricultural animals, this regulation applies to beekeepers. The new regulation goes into effect on January 1, 2017. For beekeepers, the new regulation means they will no longer be able to purchase antibiotics over the counter. They will need to first establish a Veterinary Client Patient Relationship (VCPR) with a licensed veterinarian. Then if the beekeeper suspects his or her hives have a disease requiring antibiotics (such as European foulbrood or American foulbrood), the beekeeper will need to contact the veterinarian. The veterinarian will have to visit the hives, make the official diagnosis, and write a prescription or VFD for the antibiotic. Terramycin and Tylan are the two antibiotics that are most often used to treat foulbrood, both of which fall under the regulations. Tammy has been working hard to coordinate with veterinarians across the state who are interested in working with beekeepers. She is planning to include more information about the new regulation and its potential impact on Kentucky beekeepers in the upcoming BeeLines. In the meantime, below are a few links which may provide additional information for those interested in learning more.